Sonnax takes slip yokes to a new level by offering the industry’s first affordable, high-quality performance steel slip yokes, a winning combination you won’t find anywhere else. Sonnax slip yokes for 3R, 1310, 1330 and 1350 series U-joints are ideal for high horsepower and torque capacity applications, from street car to street rod, drag strip to dirt oval track. Black oxide finish inhibits rust and pitting. Clean-cut splines mate smoothly with output shaft. All dimensions are precision machined to guarantee a consistent, concentric slip yoke. Smooth outer journal for uniform contact with seal prevents leaks and promotes proper fore/aft yoke action. The Sonnax line of transmission slip yokes has become a standout product in the performance industry. Quality, durability and competitive pricing is exactly what was needed in the market and this fine product does the job. See diagrams below for help measuring slip yokes and identifying U-Joint series. T2-3-6081HP8XL 27 1.503" 8.760" 6.100" 8.000" Full 1310 Fits Powerglide, 200-4R, 4L60, 4L60-E, 350. Also fits Muncie & Brinn units. T3-3-6081H 27 1.500" 6.680" 3.890" 5.810" Full 1350 Fits Powerglide, 350 and 350C. Also fits Saginaw 3- and 4-Speed, Muncie M20, M21 and M22 with 27-tooth spline. For use with roller bearing tail housing. T3-3-2431CBH 32 6.370" 3.800" 5.500" 1350 TH400, 4L80-E. For use with roller bearing tail housing. Some slip yokes have missing splines. To verify spline count, always count the splines on the transmission output shaft. A slip yoke counterbore is a short lead without spline in the end of the yoke. 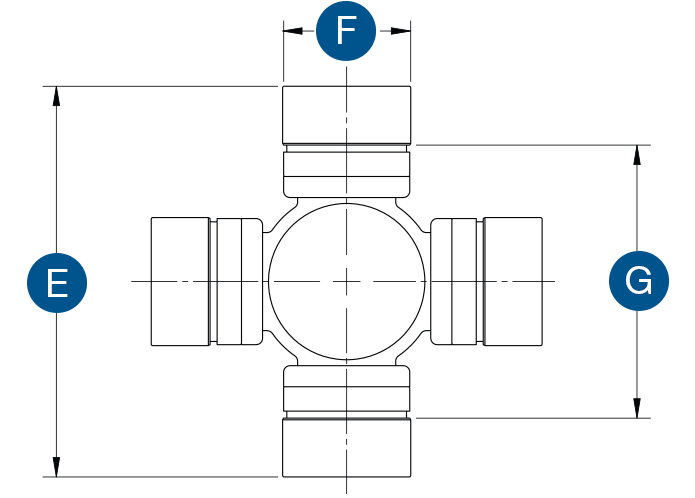 Measure the inside snap ring, indicated on the diagram as G.